Many small to medium sized businesses are familiar with the importance of using social media. While many companies have worked hard to create a strong presence on Facebook, they’ve somehow brushed aside their Instagram account. If you truly want to grow your online reach, then growing your Instagram following is a must. In fact, there are more than 200 million active members on the platform, and posts generate an astounding 1.6 billion likes every day. 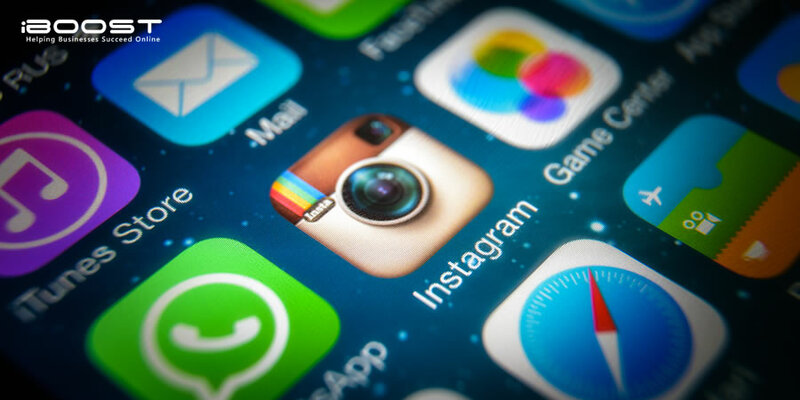 Companies of all sizes and across every industry have found success using Instagram, and so can you. At iBoost, we help companies around the country find creative and effective ways to skyrocket their sales by building their online audience. If you’re interested in accelerating your Instagram following, then use these tips to reach your goals. If you’re creating Instagram posts without hashtags, then you aren’t going to garner much attention. Hashtags are the currency of Instagram, and unlike Facebook or Twitter, users are expected to load their posts with as many tags as their hearts desire. Take advantage of this unique feature of the platform by being creative and optimizing keywords. Consider creating a hashtag that’s just for your brand. Be sure to use it in all of your social media campaigns to get the most attention, and to bring more of your other followers over to your Instagram profile. Your bio is the most important aspect of your entire Instagram account. It is the single place where fans will flock to find out more about your company after liking a post. Be sure you’re including accurate and up to date information, and use the link in your bio strategically. Instagram is all about imagery. If you’re posting pictures that are dark, dull and boring, you’re not going to engage members. While you aren’t expected to be a professional photographer to find success on Instagram, it’s important to have basic skills. Use proper lighting when snapping pictures, and try to create a story with the images you choose to use. If all you ever share is simple product photos, you’ll have a hard time getting likes, shares or new followers. If you have a brick and mortar retail store or you provide local services for residential or commercial customers in your area, be sure to use hashtags and imagery that will engage members who live near you. Create occasional posts that include iconic landmarks and popular areas in surrounding communities. Always use hashtags with your city, nearby service areas, and neighborhood nicknames. If you’re sharing a post to bring awareness to a new sale, featured product or specific ad campaign, be sure to place a clear call to action in the description. People do frequently read the text that accompany Instagram posts, so make sure you’re giving them the next step that will bring them to your website, sales page or physical store. Is your company tired of losing clients to the competition? Move ahead of the crowd and be seen by a wider audience using the latest SEO and digital marketing techniques. Contact iBoost today to find out how our experienced team of professionals can help.